Tickey is the simplest way to track your working time. 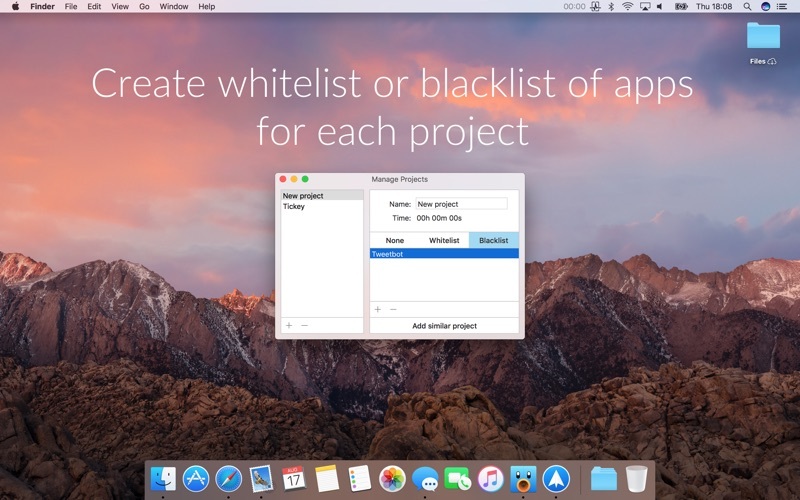 It sits in the menu bar, always one click away and lets you measure the time you put into your projects, look into app usage stats for each one and set blacklist or whitelist of apps to customize when the time is tracked. That's it. 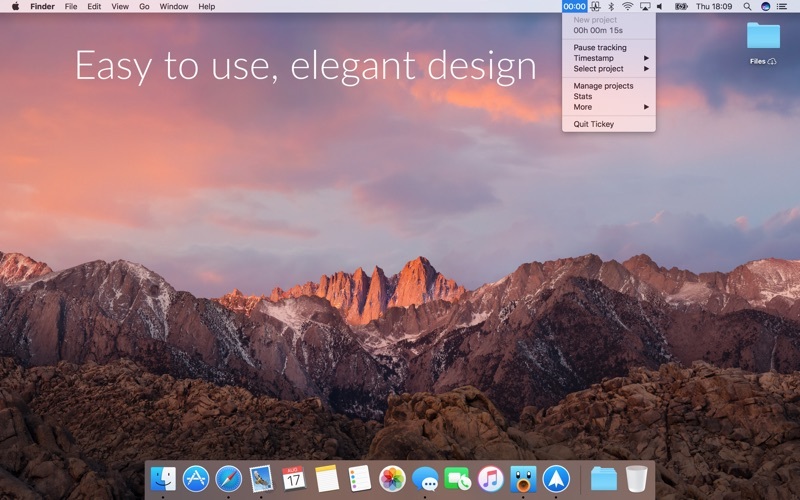 No clutter, loads of productivity.